In the school year, teachers assign books that the kids may not enjoy, or they spend reading requirements on series that fellow classmates recommend. While their top picks may be fun reads, they often lack brain-building vocabulary, thought-provoking imagery, or inspiring messages that last. That's why the summer is the best time to check out some heftier titles from the library and read as a family! I love introducing older, popular classics with my kids when we have more downtime. If I don't take the opportunity that school breaks offer, I worry that my three children may not otherwise get the chance to experience these well and long-loved tales. After all, there has to be a reason that certain books have been recycled, revised, and re-told for ages. Remember what it was like to be bored and forced to come up with your own mental movie pictures? Listening to or reading stories, without provided images, was the original form of entertainment, before television. Kids are never too young or too old to imagine the narratives being told them. Not only are there brains sparking with renewed creativity, but reading out loud allows me time to explain phrases or words they don't understand, as many older stories have cultural or dated references. For example, I had to explain recently that a "torch" in The Chronicles of Narnia was actually a flashlight. I'm also able to skip over any language or descriptions I find inappropriate for their age. Reading together on the couch is great family time- maybe even a lost art form. Understandably, my younger boys sometime resist turning off screens and settling down for lengthy periods of time at first. But after every chapter is finished, they're hooked and their curiosities are piqued! We sometimes draw pictures of what we think the characters or scenes looked like. And when we read an entire book, we find the movie adaptation to celebrate. It's fantastic conversation material, as we compare the film's interpretation to the original story. *These titles are geared more for older children. My oldest is a middle-schooler, so we can venture into harder texts than with my elementary-school aged sons. 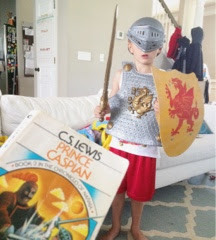 Do you have a favorite classic story that you think kids may love? Share! 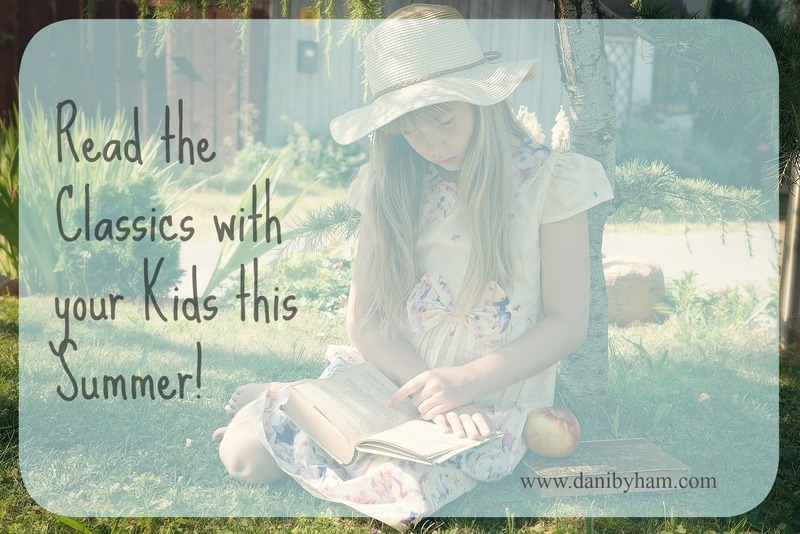 Subscribe to the blog and receive a FREE Summer Activity Guide!